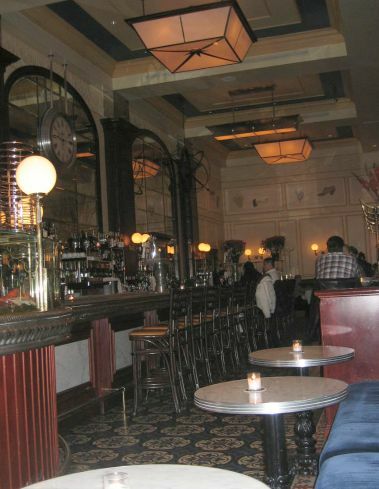 Bouchon is located in the Venetian Resort Hotel Casino on the 10th floor. 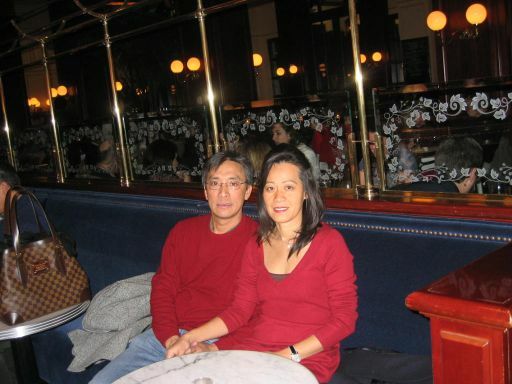 There is no way to find out this restaurant unless you heard about it. 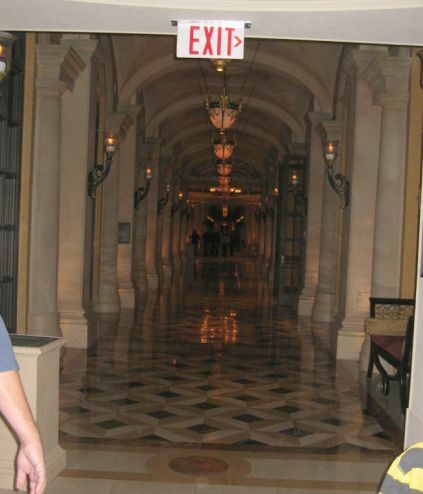 To access to the restaurant you will need to go out of the Casino into the garage and you will need to catch a special elevator to get to the restaurant. 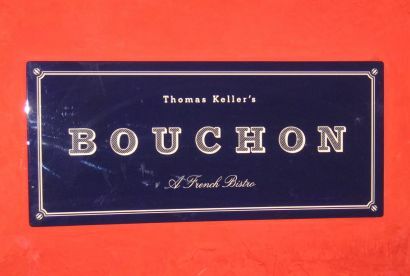 Bouchon is owned by Thomas Keller the famous chef of the "French laundry". 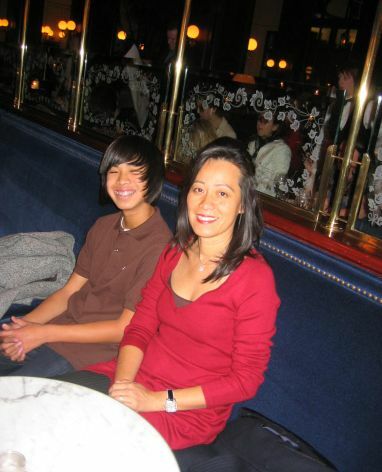 Bouchon got excellent review and received a one star by the Michelin guide. I am expecting to have good food there tonight. 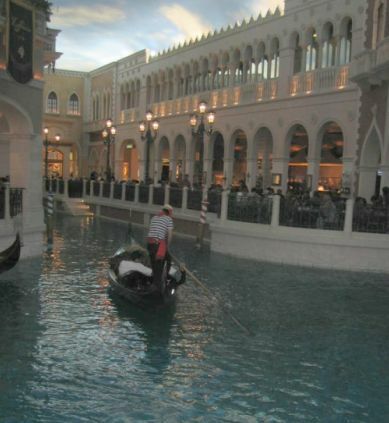 Inside the Venetian Casino hotel, a reproduction of the grand canal and the gondola ride is available just like in Venice. We are now on the 10th floor. Before entering Bouchon, on the left side stand majestically a row of tall colonnades leading to somewhere... suites perhaps? I felt like we are in some kind of palace in Italy. Bouchon's sign located just on the outside of the restaurant. The waiting area is make to feel like and outdoor café tables. 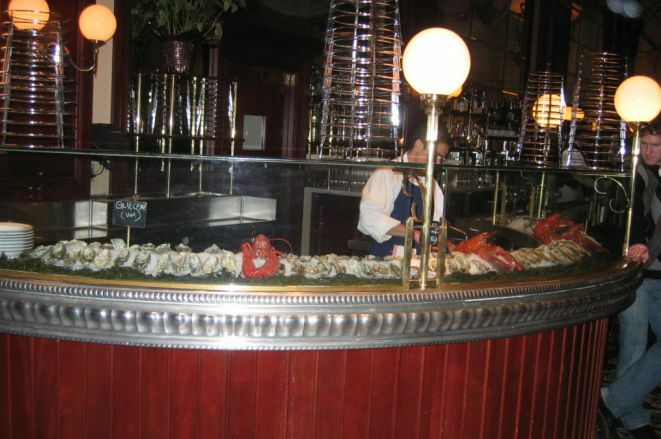 As soon as you walk in Bouchon you can't miss this magnificent French pewter bar filled with fresh sea food. Waiting for our table to be available. While waiting I talked to one of the waiter, he told me that Bouchon usually serves about 400 to 500 plates on a single night. The waiter told me he does not stop from 5:00PM to 10:00PM. On a slow night like tonight, the day after Christmas, they are only expecting to serve about 200 plates.